• plus, with holes in the surface, light could pass through the deck so as not to cover the ground floor windows in darkness. UK specialist fabricators – Darke Steel – have been working with ABL Architectural Aluminium to design, build and install aluminium steps for the gangways at West Ham United’s ground, The London Stadium (the former 2012 Olympic athletics venue). 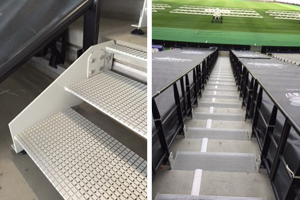 Aluminium steps were considered ideal as they are tough enough for heavy use on match days but are also lightweight to assist with the moving in and out of position as the stadium is converted for football matches and other sports fixtures. 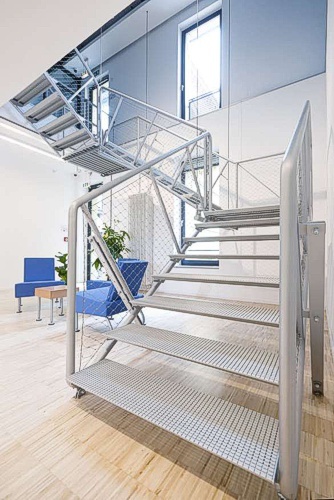 Cutting and installing the steps to the gangways was straightforward and the appearance of the anodised aluminium steps is atheistically pleasing and will provide a durable product for many years service. The reason for the selecting ABL’s Designer decking was a combination of lightweight, value engineering and decking surface finish. The designer anti-slip surface pattern is ideally suited for large crowds and provides a modern and safe surface on the steps between the rows of seats ensuring safe access and exit for spectators. The client was very satisfied with the steps which are hard wearing and will not rust. They therefore achieved the finish, durability, lightweight benefit and good value that the client was seeking. 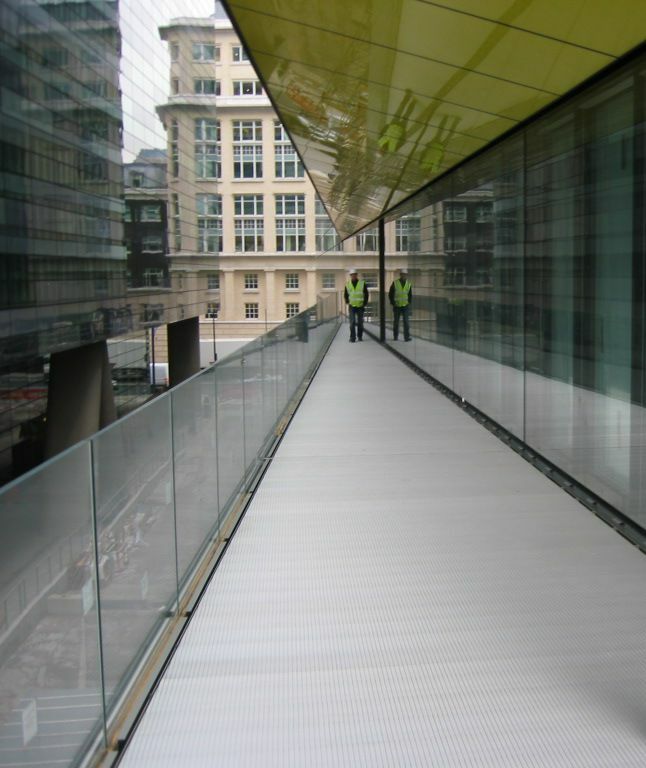 Darke Group would be happy to ask ABL Architectural Aluminium to supply decking for future projects and both companies hope to work on other exciting installations in the future. The reason for the selecting ABL’s Designer decking was a combination of value engineering and decking surface finish. 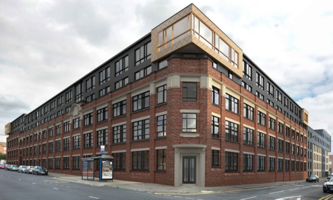 In keeping with the Industrial theme, the decking would provide a modern and safe surface on the walkway areas between apartments and in the raised garden seating area. Having selected ABL Architectural Aluminium to supply and deliver the decking the contractor completed the installation without any problems. The client was very satisfied with the decking which is hard wearing and will not rust. It therefore achieved the finish, durability and good value that the client was seeking. Both the contractor and their client would be happy to ask ABL Architectural Aluminium to supply decking for future projects.